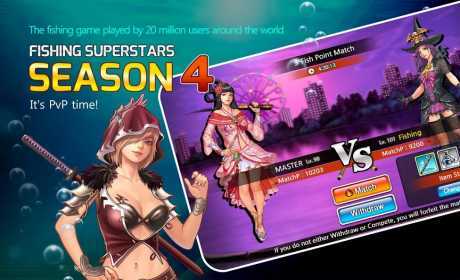 – Pit your fishing skills against other users! – Receive rewards simply by participating! Get even better rewards based on your League score. – Floats may be small but they are loaded with powerful special stats! – Equip one and experience the difference. – Looking for a challenge? – Time Attack Missions, Weekly Missions, and Daily Missions are here to stir things up! ☆ Who says you can’t wind the reel? 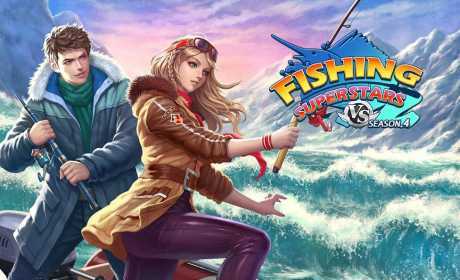 – Enjoy realistic fishing and the thrill of the catch! 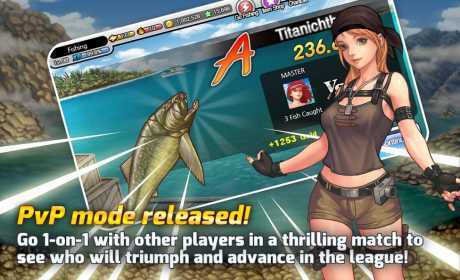 – Closer to real fishing than ever! – Enjoy casting lines and winding the reel. – Brag on Facebook when you land a bigger catch than your friends! – Over 200 types of fish, and more being added consistently! – Complete the Illustrated Book per site and receive ample rewards! – Fill your aquarium with the various fish you catch. – Enjoy fishing sites with a natural view. This is no mod at all!!!! !